Jordan Spieth will try to do something this week at Oakmont that has happened in 27 years: repeat as U.S. Open champion. And despite his recent collapse at the Masters, based on his recent run at the majors, it wouldn’t be a surprise if he pulls it off. 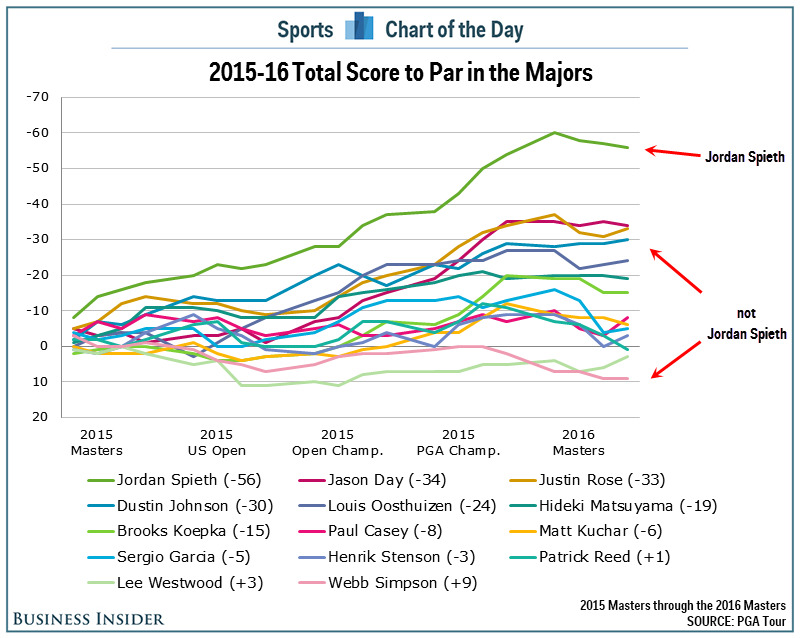 In short, Spieth dominates the sport when it matters most. Here are Spieth’s finishes in the last five majors: 1, 1, 4, 2, 2. That’s five straight top-5s including four top-2s. It’s early, but it is a run reminiscent of Jack Nicklaus, who not only won 18 majors, but also finished second a whopping 19 times. 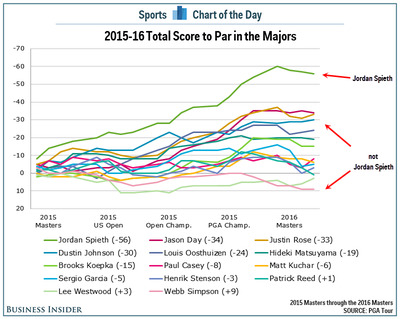 To get a sense of just how good Spieth has been in the majors, the chart below is a look at the 14 golfers who made the cut in each of the last five majors and their cumulative score in those 20 rounds of golf. Keep in mind, these are the elite golfers, the only players good enough to play on Sunday in each of the last five majors, and yet there is still a huge gap between Spieth and everybody else.